"I think we're about to replace that worm as the locals' God." Chronology: Takes place before 'The Chase'. Or to be more precise it can only really take place between the first two scenes of 'The Chase'. Mark's Remarks: Another story written by a writer who I think is better known for his humorous work. 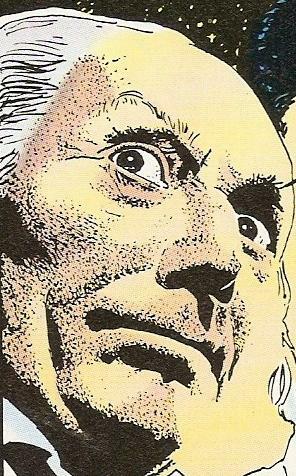 For those who don't know, Tim Quinn, amongst other things used to write a short humorous strip each month in DWM called 'Doctor Who? ', which at the time used to be one of my favourite parts of the magazine. This is a rather more serious affair but, if I'm honest, there's nothing much about the story that particularly stands out for me. The regular characters are well characterised. Ian and the Doctor get all of the action as Barbara only appears briefly at the end and Vicki is mentioned but not seen. One nice touch I thought was Ian's wonder at the beauty of the alien world he was exploring. At this point in time he would have been travelling with the Doctor for close to two years so it's nice to see that he can still be impressed by it all. The Seventh Doctor's cameo appearance at the end is a bit of a surprise although it fits with his character. On TV he made a habit of sorting out long-standing issues from his past (Remembrance of the Daleks, Silver Nemesis and so on) so it makes sense that he would step in here to deal with repercussions of his earlier visit. 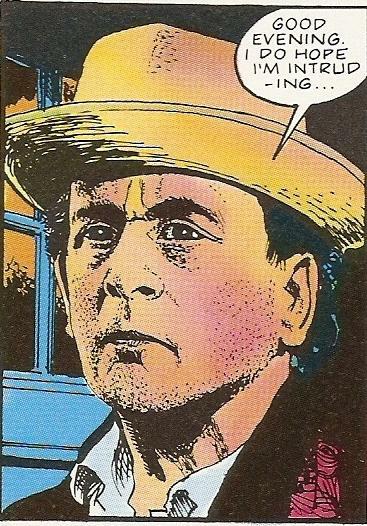 We never find out what he does to end the sacrifices but, as the Seventh Doctor by this time had been built up to almost god-like proportions through various novels and comic strips. one imagines that it involved more than giving the natives a stern talking to. In terms of artwork, I've always enjoyed John Ridgeway's work ever since I first encountered it during the tail-end of the Sixth Doctor's comic strip run. There's some good stuff here although he tends to use a lot of photo references for the close ups of the Doctor and Ian. Also the artwork is ruined slightly by the colour which just seems too garish for my tastes. It would have benefited greatly by being toned down just a little. Overall then, a nice little story marred slightly by some dodgy colouring. Next up: Are You Listening?